Ideal for all hair types. 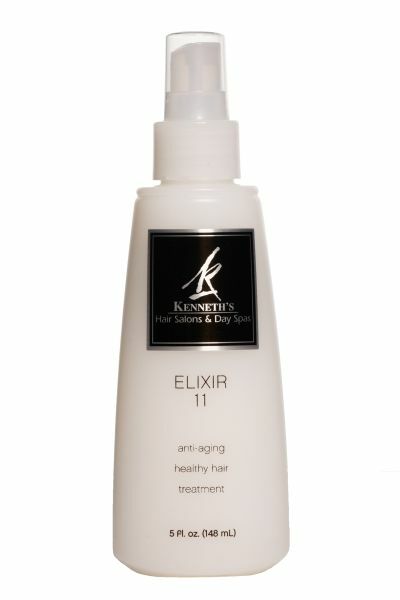 Elixir 11 is essentially vitamins for the hair. Leave-in treatment with new anti-aging technology previously used only in skincare products. Virtually weightless and beneficial to the overall health of the hair. This product does eleven things for your hair. Seals color,smoothes frizz,repairs damage,prevents split ends,moisturizes dry hair,strengthens fragile hair,prevents flat iron damage,prevents pool and sun damage,adds shine, softness and silkiness,protects from blow drying and improves texture and manageability.